The fabric is a soft blue-gray color that correlates seamlessly with the natural medium wood tone finish with physical distressing, and subtle gray/white hues to highlight the natural characteristics of the wood to provide a rich organic feel. 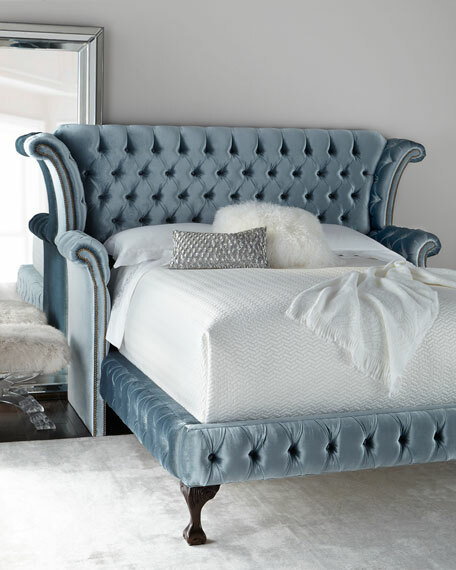 Handcrafted bed with tufted headboard. Assembly required; instructions and hardware included. 75"W x 96.8"D x 70"T.
Boxed weight, approximately 300 lbs. 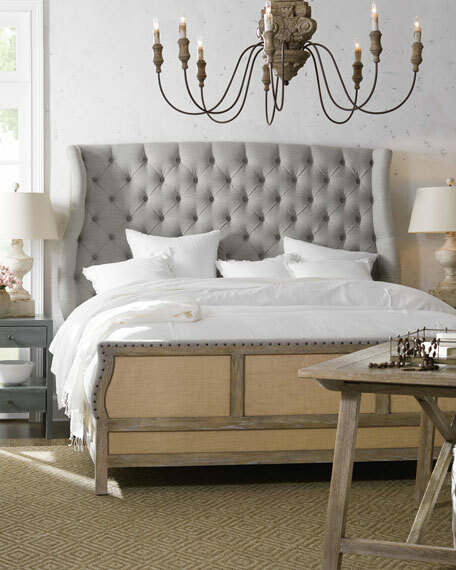 This bedroom collection captures European country style. Carefully selected cracked oak veneers are finished in a warm weathered grey giving each piece the look of a cherished heirloom. 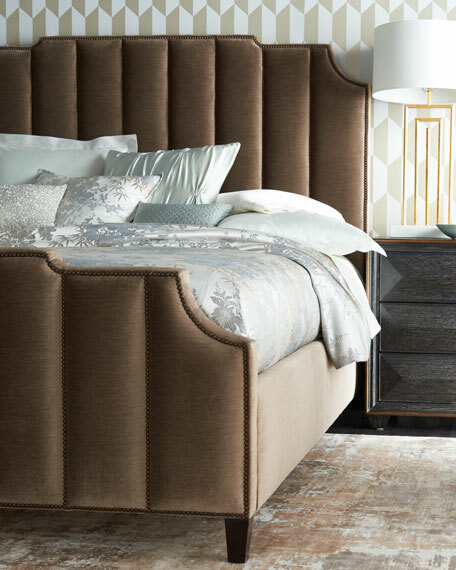 Sensuously curved headboard and footboard with button tufted upholstery. This platform bed draws the eye with its distinctive vertical seams, which give this upholstered headboard its textural dimension. 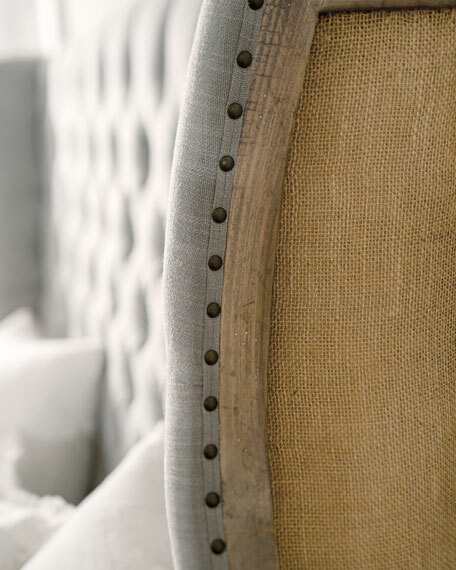 Crafted and upholstered by hand, this attractive centerpiece is right at home in your master bedroom or guest suite.